At Advanced Dentistry of the East Bay, we put the comfort, safety, and satisfaction of our patients above all else. 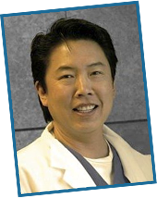 Dr. Gary G. Fong and our entire staff are dedicated to providing patients throughout San Francisco with exceptional care, personalized treatment plans, and a full range of cosmetic, restorative, and preventive options. From teeth whitening and porcelain veneers to dental implants and full smile makeovers, we can help you choose the treatments and procedures that will create the results you desire. Call our office or use the form below to schedule a free consultation and start your journey towards a beautiful new smile. Dr. Fong and staff will help you discover how you can attain the smile you have always wanted through cosmetic, restorative, and preventive dentistry. If you would like to learn more about any of our cosmetic, restorative, or general dentistry options, or if you would like to schedule an appointment with Dr. Fong, please fill out the form below to contact us.